Don't Make This Mistake When Using Docker Volumes! 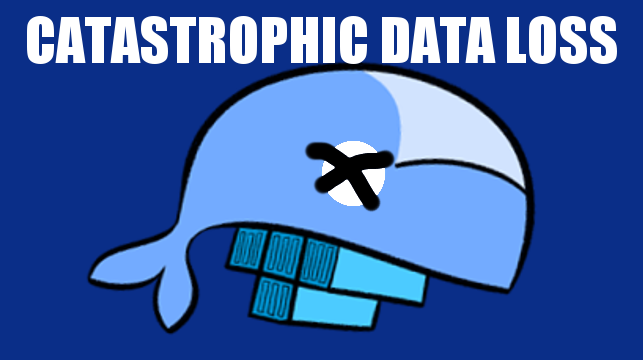 This week when doing a production deploy to ustreasuryyieldcurve.com, I had an accident where I almost lost all the latest snapshot of production data! Docker volumes is a feature that is handy for making your container's application-specific data persistent across deploys. When containers get rebuilt, redeployed, and restarted, all of the information in the container gets scrapped. However, some data like your database of users and information you would want to keep outside of the container and reused. That's where Docker volumes comes in. You can specify a folder inside of your Docker container to symlink to a folder outside of Docker on the host machine. The data will not only be persistent, but can easily be backed up. Docker volumes also has a feature where you can specify a volume name rather than a folder path on the host machine. Docker will use the name as a tag to manage the data location for you. You can find the exact location where Docker is storing the data using the docker inspect command. # then the next data deploy will get lost. The problem I encountered was when I performed a deploy using a Ruby tool called Capistrano and restarted the website, all of the data was suddenly missing. I logged into the database using the Rails console and it reported to be completely empty. So the next step I took was to use the docker inspect command to see where the database volume was being stored. I noticed that in the Docker volumes directory, there were separate volume folders corresponding to each Capistrano release I've recently performed, with the release number prepending the directory. I only wanted it to be using a single directory with no prepending. The volume folders were being prepended with the release number, so each time I deploy it created a new database. So after some further research, I learned that I had to make a modification to my docker-compose file by adding the external keyword to the volume declaration. I also had to go onto the server and manually create the volume using the command docker volume create ycurve_database. I then figured out which release folder contained the previous deploy's working data and copied the contents into the newly created external volume folder. The next deploy containing the updated docker-compose.yml brought the site was back to normal!